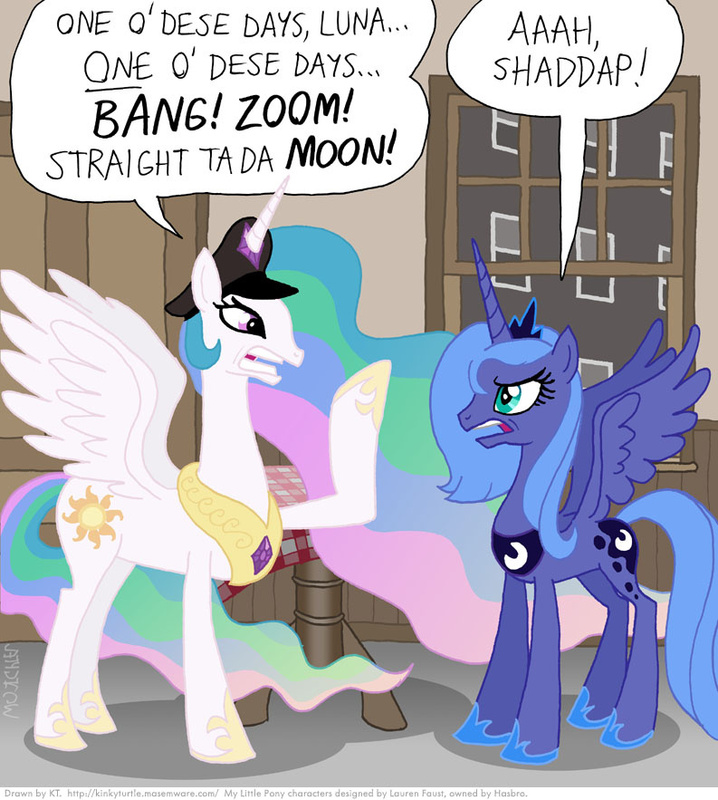 In the early days of Equestria, Princess Celestia was much more hotheaded, not so easygoing and laid back like she is now, and when Princess Luna started getting annoyed over her moon duties being so much less awesome than Celestia's sun duties, they got in a lot of arguments. Also, back then, being a goddess didn't pay as well as it does now, so Celestia had to work part-time as a bus driver. Also, instead of a palace in Canterlot, they lived in a low-rent apartment in Manehattan. I want to read the story about Luna's adventures with Bill the Scientist, Yawning Squirtle, and Metal Sonichu on the moon. Bill the Scientist? Don't you mean Bill Nye the Science Guy! I am sad that nobody archived Moon Pals. It was all about Chris-Chan's villain characters doing drugs on the moon, and it was glorious. I still prefer Bill Nye. that description makes this pic epic lol........ WHY CAN'T YOU SAVE PICS WITH THEIR DESCRIPTIONS?? ?